Tonight I did my first canning on the season. One of my daughter’s favorite things in the world is pepperoncinis. This year I planted 4 pepperoncini plants, and so far they are producing really well. 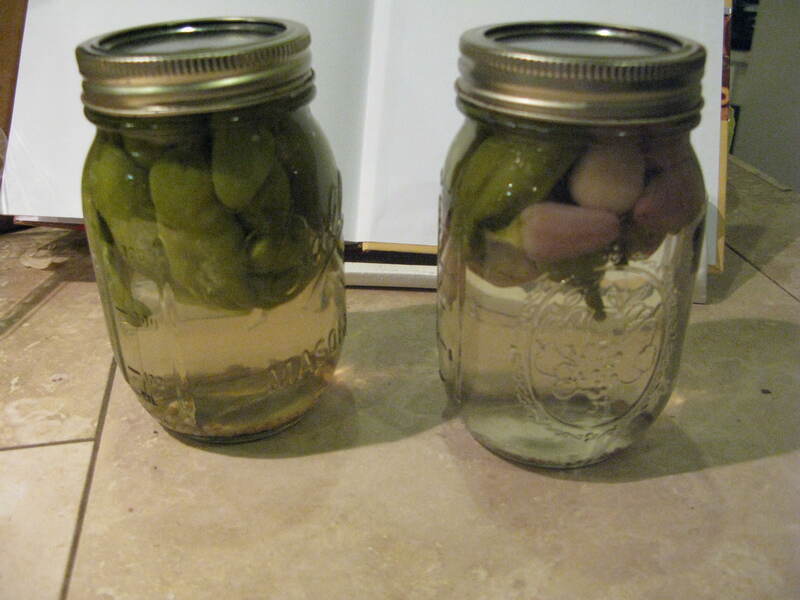 I had enough to make my first batch of pickled peppers. I also used chinese 5-color peppers as well. I probably should have done half-pint instead of pint jars. Oh well, I’m sure the flavor won’t taste any different. I plan on giving it about 2 weeks before letting her try them. I also have some lemon cucs that are awaiting pickling, hopefully tomorrow night.